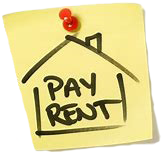 Pay Rent – Click here to pay your rent using a bank draft or credit card without visiting the office. Work Order – Click here to submit a work order to the office and maintenance staff. If you have any questions, please contact the office.